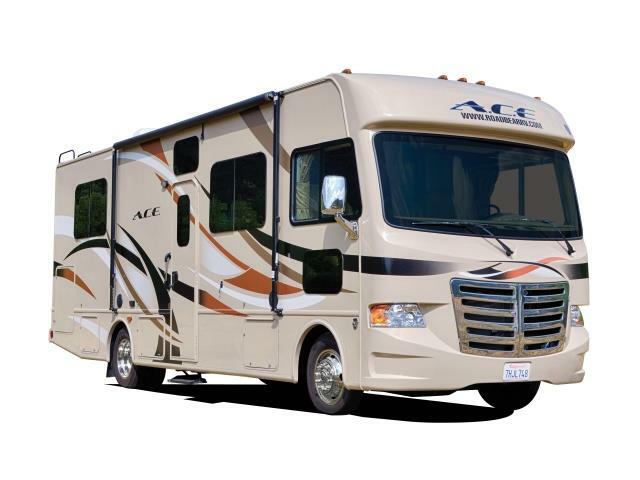 So you have rented your RV and it’s time to start planning on where to stay. If you are planning on staying in the Los Angeles area to see the many attractions that LA has to offer you will want to keep in mind that you are looking for campgrounds in Los Angeles and not Los Angeles County. Los Angeles County is over 4300 square miles while the city of Los Angeles is about 500 square miles. Dockweiler RV Park is Los Angeles’ only RV park that is right on the beach. Enjoy the 3 miles of sandy beaches, cool ocean breezes, and rolling waves right from your RVs front door. This campground offers full hook ups, showers, a laundry mat, a sani dump, and every site has its own BBQ and picnic table. The Marvin Braude Bicycle Trail is close to the park making it easy to visit Redondo Beach Pier, Venice, Santa Monica and Marina Del Ray. The address for the park is 12001 Vista del Mar, Playa del Rey, CA 90293. Golden Shores RV Park is located downtown Long Beach on the water. This campground has a pool and hot tub as well as horseshoe pits and a shuffle board. This campground is located at 101 Golden Shore, Long Beach, CA 90802. Anaheim Harbor RV Resort is the closest RV park to Disneyland (within walking distance) and on the Anaheim Resort Trolley route. This park boasts new washroom and laundry rooms, heated pool, playground, mini golf, an arcade, and free wireless and cable. Anaheim Resort RV Park is also a mile away from Disneyland and has the Anaheim Resort Trolley coming by every 20 minutes from 1 hour before Disneyland opens to 30 minutes after it closes. After a day of walking around Disneyland enjoy a cool dip in the swimming pool or soak your tired feet in the hot tub. There is a large picnic area with BBQs where you can get to know the other guests. Just 25 miles from Los Angeles lies Malibu Creek State Park. This picturesque park is the perfect place to hike the quiet trails, catch a few fish, or catch up on your bird watching. The sitcom M*A*S*H was shot here for all eleven seasons. There is still evidence of this around the park, from a left over ambulance to the mileage post, fans from around the world travel here to relive the glory days of M*A*S*H.
Located in Eastern Los Angeles the Pomona KOA is your home away from home. The campground has a hot tub and sauna, a snack bar, and fishing. There is even a shuttle that will take you to your favorite attractions. Malibu Beach RV Park has an amazing view from its location on the cliff high above the Pacific Ocean. If the view alone isn’t enough to convince you to stay at this park you can also see dolphins from this point and whales depending on the season. There is great fishing here, as well as body surfing, beach combing, a children’s playground, and a video game room. Los Angeles hosts a wide variety of geographic landscapes. While Los Angeles is mostly a desert basin, it is also surrounded by the San Gabriel Mountain range and split by the Santa Monica Mountains. This makes for some great hiking and mountain biking terrain. LA also has over 75 miles of coast line along the Pacific Ocean with some of the best surfing in the world, but don’t worry if you are not a seasoned pro when it comes to surfing there are lots of mellow waves to test out. Los Angeles boasts 292 days of sunshine, that fact alone makes Los Angeles a top destination on my list. With an average high of 75 degrees and an average low of 57 degrees, there is no wrong season to visit Los Angeles. The average yearly rainfall in Los Angeles is 15 inches. Los Angeles is one of the most cultural diverse cities in the world, being one of only two cities in the US without a majority population. Boyle Heights is a must stop for Mexican food with a predominately Hispanic/Latino culture. Chinatown has something for everyone, great food, farmers markets, galleries and walking tours. Try the “Undiscovered Chinatown” tour to uncover history, treasures and great shopping. Little Tokyo is home to the Japanese American National Museum, and the Nisei Week festival. Leimert Park is the African-American cultural mecca of Los Angeles, stop to visit the art galleries and the eateries. Koreatown host the highest concentration of restaurants and nightlife in all of Southern California. From dive bars to high end cocktail lounges Koreatown is a city that never sleeps. What? A two-day, alternative, hip hop, and electronic music and arts festival in a desert setting. Very popular. When? Tuesday, January 1, 2013 at 8:00 am. What? The 124th Rose Parade is themed Oh, the Places You’ll Go! A wildly popular televised event to celebrate New Year’s Day. What? A 26.2 mile-long marathon that draws in more spectators every year than any other marathon. What? America’s #1 street race. What? A two-day, alternative, hip hop, and electronica music and arts festival in a desert setting. Very popular. What? Free dance and music concerts on the Santa Monica Pier. What? See the wonders of 200 Laguna Beach artists under eucalyptus trees and waterfalls in a canyon setting.